KEARNEY – How competitive is Julianne Jackson’s family? 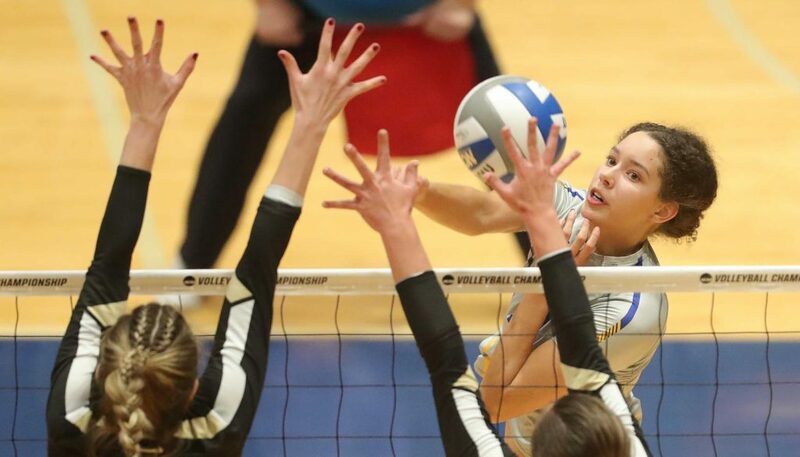 The question draws a chuckle from the University of Nebraska at Kearney volleyball player. “We can’t play any sort of game without it getting way out of control,” the junior outside hitter said. There are plenty of stories to support that statement. How about the time they played the pop culture trivia game Scene It? “It was like no holds barred – and we’re not even good bowlers,” Jackson’s mother Dawn said. But, as they say, competition breeds success. That’s something the Jackson household is also used to with six Division II athletes in the family. Dawn played volleyball at Pittsburg State University, where she met her husband Jonathan, a member of the football team. Their Mid-America Intercollegiate Athletics Association (MIAA) connections expanded from there. Jonathan Jr., the oldest son, played football at Missouri Southern State University, and Jordan is a senior wide receiver at Emporia State University, where youngest son Jamison is serving as a student assistant for the basketball team while he recovers from ACL surgery. Once his knee heals, he’ll try out for the team. This sibling rivalry started early and Jackson – the lone sister – wasn’t going to get any slack from her brothers. “They do not let her get away with anything,” Dawn said. She doesn’t view this as a bad thing. The siblings motivate each other, with each child contributing to the others’ successes. That said, don’t expect them to back a sibling when asked who the best athlete is. “Of course I would say me,” Jackson confirmed. 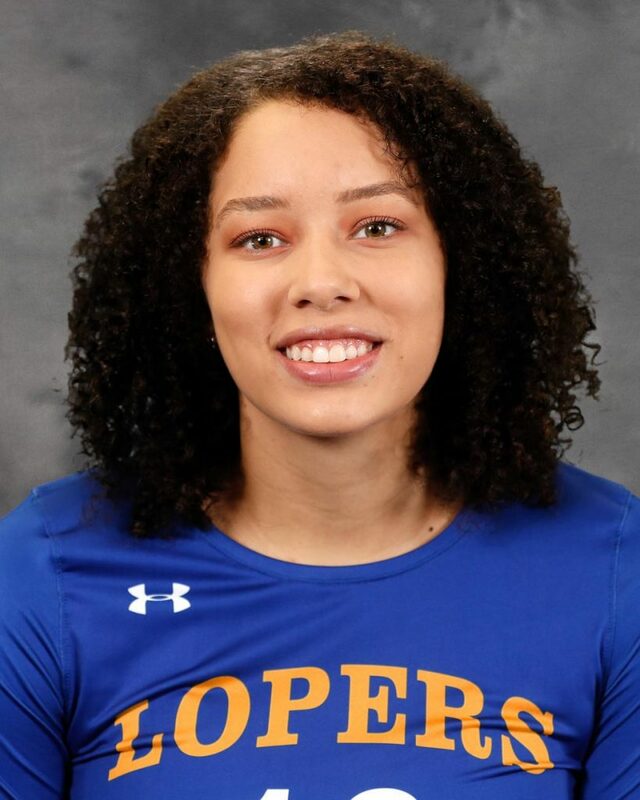 She had plenty of opportunities to shine in her hometown of Bonner Springs, Kansas, where she earned varsity letters in five different sports. Jackson participated in so many sports the seasons often overlapped. As a sophomore, she competed in the long jump at the state track meet in Wichita, then played in a state tournament soccer match later that day back in Bonner Springs. During her junior year, swimming and track were her spring sports. Jackson was also a standout basketball player, earning all-state honors and setting the school’s career rebounds record. 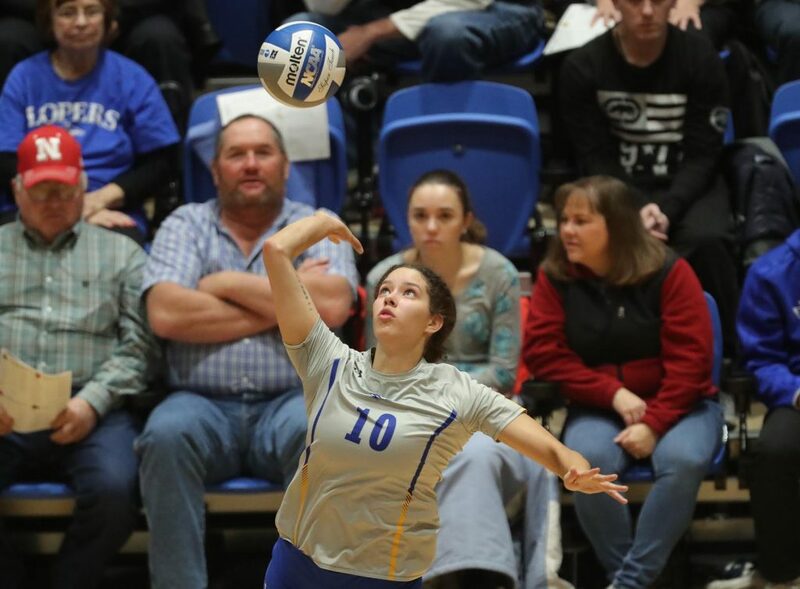 That’s why it surprised her family and friends when she decided to play collegiate volleyball – a sport she didn’t start until the eighth grade. Jackson landed on UNK head coach Rick Squiers’ radar as a mid-level recruit with room to grow. “I didn’t know what her ceiling was,” Squiers said. But he liked the intangibles – a strong work ethic, fantastic personality and competitive fire that can ruin family game night. Her natural athleticism didn’t hurt either. “That’s a person who just needed an opportunity, and she’s taken full advantage of it,” Squiers said. Jackson played in all 130 sets this season, finishing second on the team with 295 kills and 512 digs and third with 35 service aces. 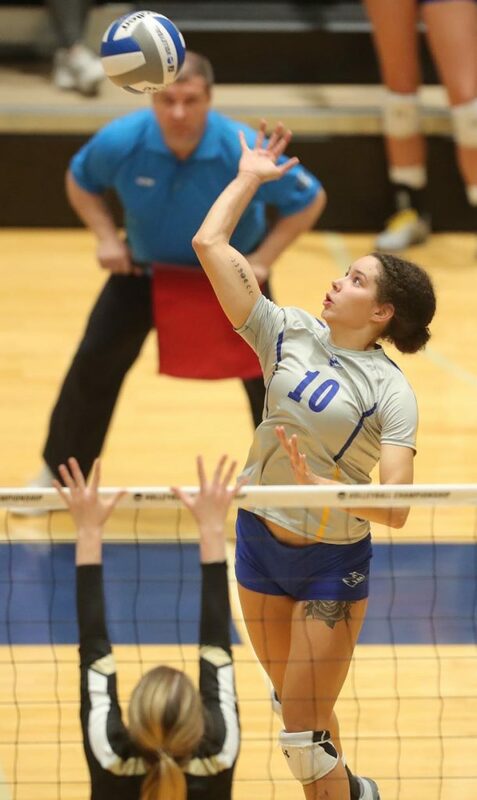 She also had a team-best 16 solo blocks and was selected to the All-MIAA first team. 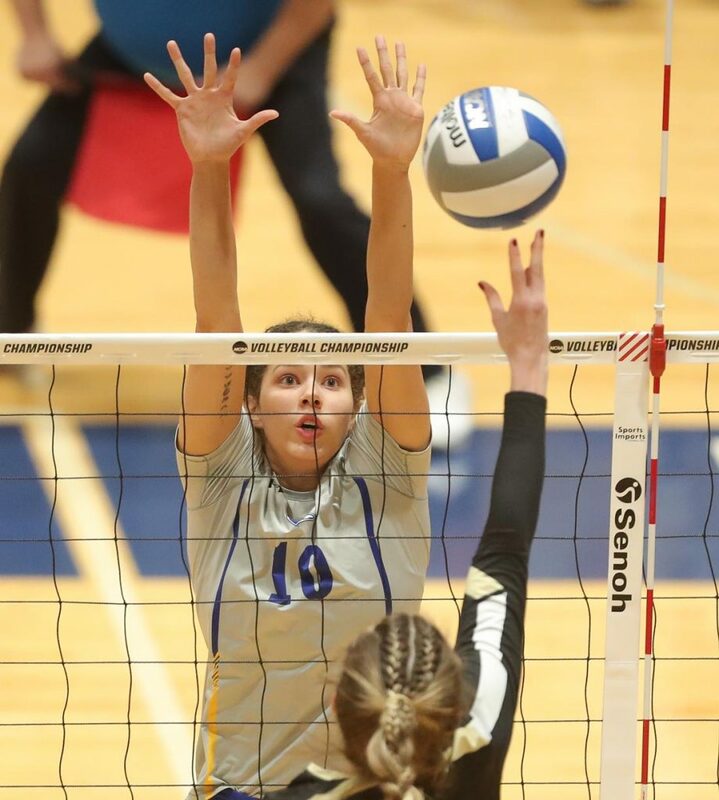 A second-team All-MIAA selection in 2017, Jackson fell in love with UNK during her first visit to campus, setting up a hectic fall schedule for parents bouncing between volleyball and football games. The craziness is worth the reward. 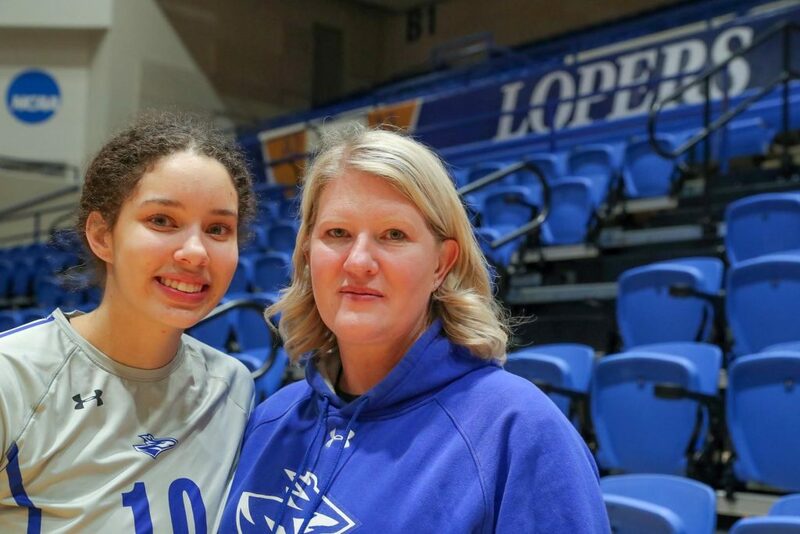 Mom made the five-hour drive to Kearney for Thursday evening’s NCAA Division II tournament match, an emotional five-set loss to Harding University that ended the Lopers’ season. “I hate losing. I hate losing more than I love winning,” she said while sitting in a stairwell next to the UNK locker room.